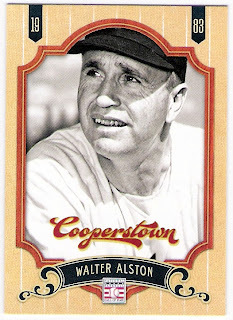 it's an insert set - there's also a red barber card that i will need to get at some point. 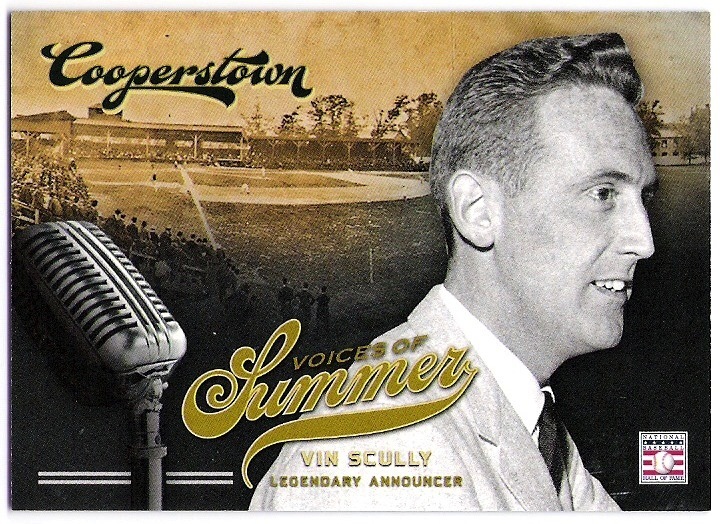 i am by no means complaining about a real honest to goodness card of the dodger broadcaster (the first since fleer's 2004 announcing greats card), i just sort of wish that they had used a later image of scully. i am being selfish here, but i picture scully more like he is today. 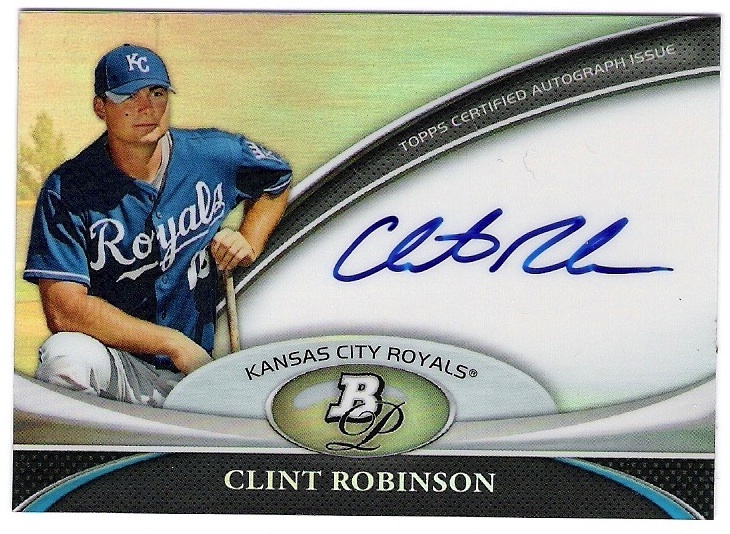 i know panini did use a later 'in action' photo for his autographed card, but i don't think i will lay out the cash for one of those unless the prices settle a bit. to say the first few have been volatile is putting it mildly. i was watching several copies of the autographed card on ebay, and the first one went for $410. then there was a bin for $300 that someone quickly snagged, followed by another for $175. there's one up now at around $250 (as i type this on friday morning) and another at about $150, but both have a couple of days left yet. 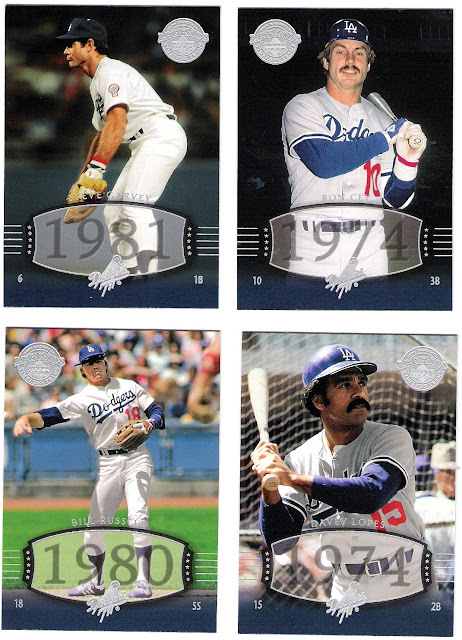 anyway, there are several dodgers in the set that i also picked up over at sportlots. 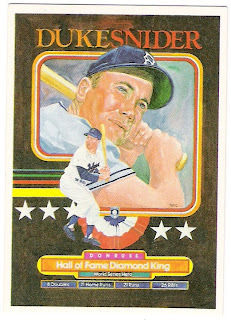 i believe the only dodger i am missing is duke snider (can you help a blogger out? 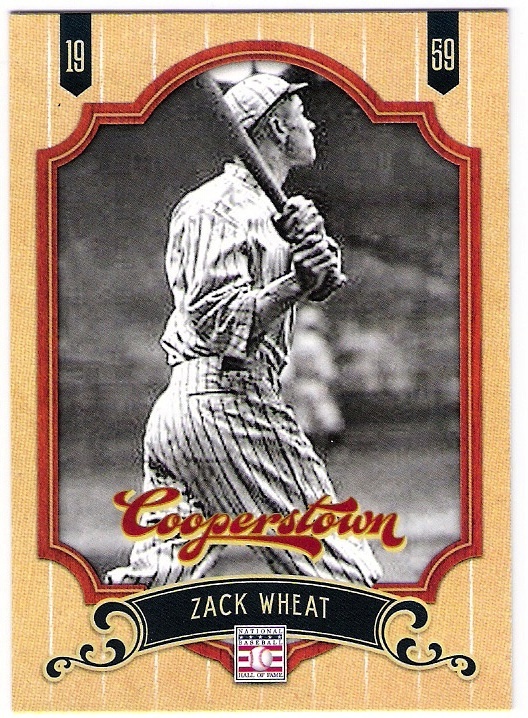 ), although there are a number of hall of famers who played for the dodgers that may be featured in a dodger uniform. 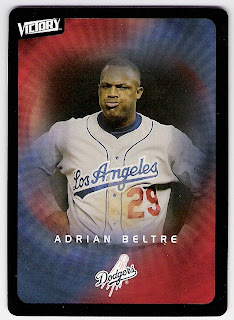 because panini had to remove all indications from the unis, maybe rickey henderson is shown from his time as a dodger. 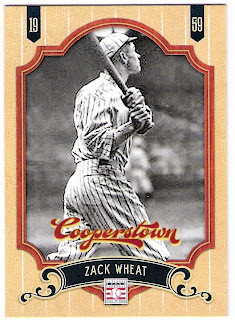 heck, maybe the duke of flatbush is really a met on his card. i am guessing, though, that panini tried to match the image with the team that each player is enshrined under in cooperstown. that would leave jim hunter hatless. i believe lasorda got special dispensation from the hall which is why he was inducted without the usual 5-year waiting period following retirement. alston up there had to wait until 1983 (7 years after he retired) to get in. but he's in now, whether reggie jackson likes it or not. 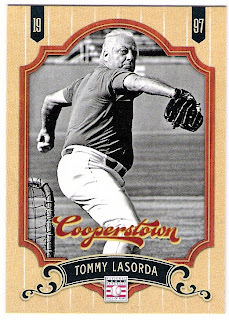 he is obviously shown as a dodger here, pitching in candlestick even, and i thank panini for not using a photo of him as a brewer. 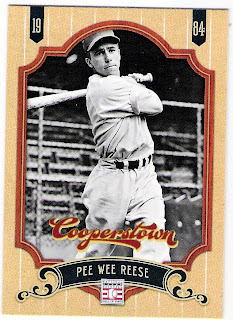 and i can't believe that he wasn't inducted until 1969.
came to the dodgers from the red sox organization, but i doubt that this is a 1939 minor league photo of the captain. he joined the hall as a veterans committee selection in 1984, the same year don drysdale was inducted. 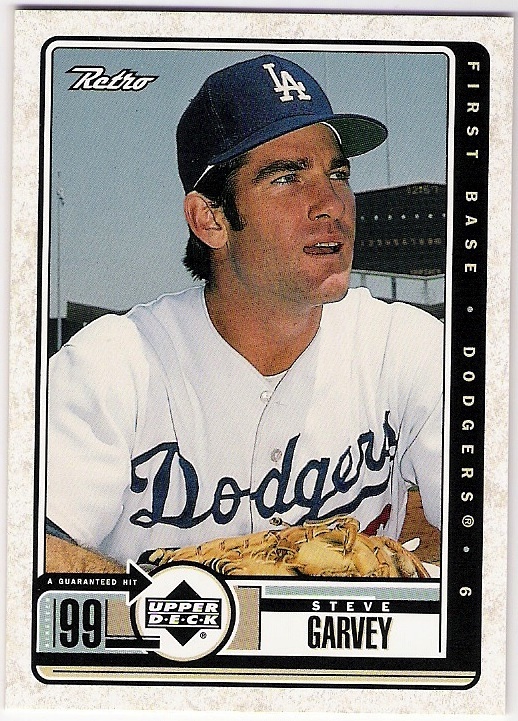 speaking of which, there are no cards in the set for big d or sandy koufax, although both maury wills (not in the hall) and shawn green (on the ballot for the first time this year) are both featured in autograph insert sets. 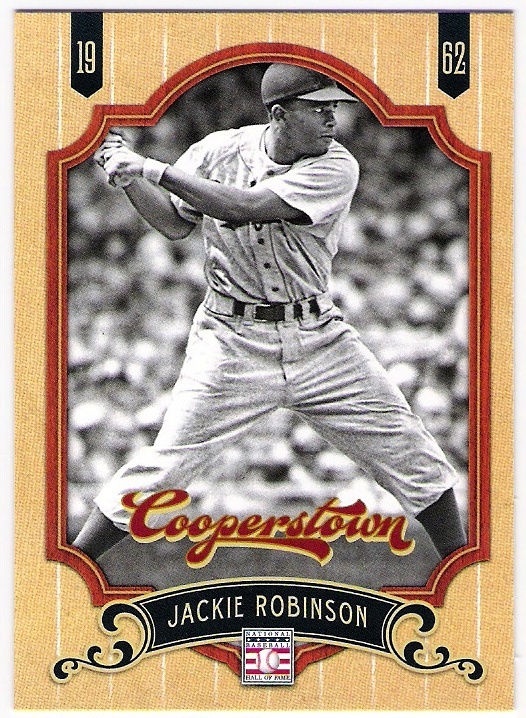 jackie was the first player voted in by the writers since joe cronin and hank greenberg in 1956. i think that's the longest stretch the hall has gone without a player be admitted by the writers. 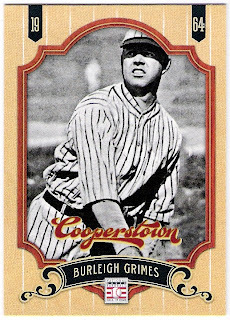 the dodgers (and robins) wore pinstripes for much of the 1910's and 20's which would have covered the time that both wheat and grimes played for brooklyn. here's a 1983 donruss hall of fame heroes card of grimes showing the 1964 veterans committee inductee in a robins uniform, circa 1919.
i like this panini set. it reminds me of the cramer legends sets from the early 1980's which i collected (at least the first 3 sets - there might be a 4th i am missing). 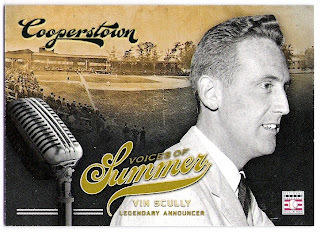 i won't chase the whole set, but i definitely am looking for the snider and the barber insert. 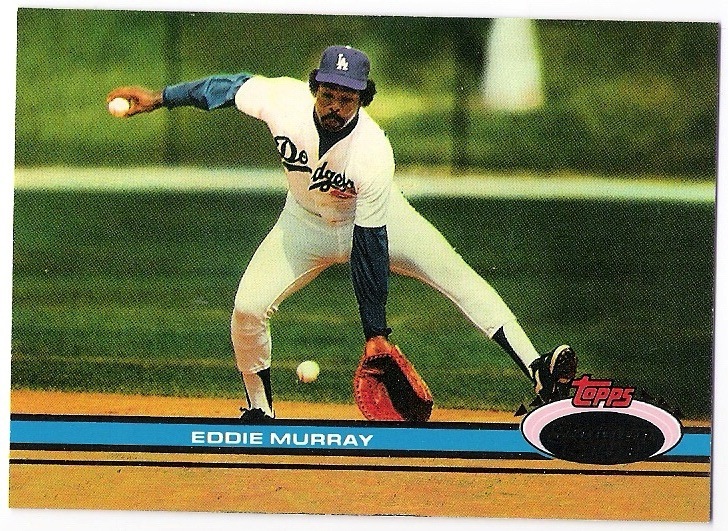 happy bday vin; i can't wait to hear you say 'dodger baseball is on the air' in 2013.
this 1991 topps stadium club card of eddie murray reminds me of lucille ball and a classic episode of 'i love lucy'. he's got a ball in his hand with another one about to be fielded by his glove. pretty soon he will have to stuff balls in his hat and elsewhere, because joey amalfitano is going to keep hitting fungoes at him like the conveyor belt in that chocolate factory kept bringing the candy. all that's missing is todd benzinger standing next to steady eddie suffering the same fate. 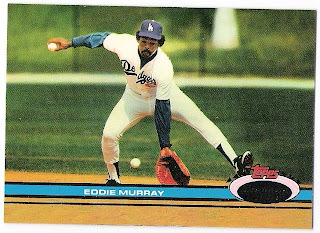 a long while back, i won a contest at 'all trade bait all the time', and along with my winnings, oscar sent along some dodgers, including that steady eddie up top. here are some more that came along for the ride. apparently shawn green is a gardener. at least, that's what i thought jardinero meant. i guess it also means outfielder. which is the same as voltigeur, if you are speaking french, which also means tumbler or refers to napoleonic infantry units. 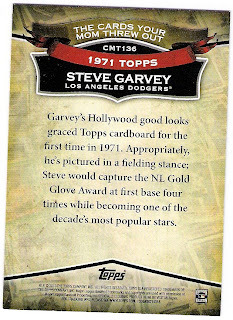 i have often wondered why steve garvey wasn't chosen to be featured instead of one of those guys. 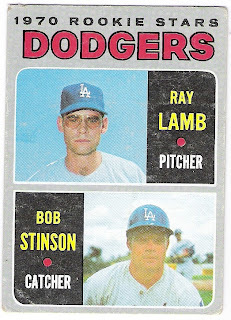 after all, stinson had only appeared in 4 games in 1969 (garvey played in 3). it might have been as simple as that - if the garv had made into a couple more games, maybe he would have had a card in the gray border set. 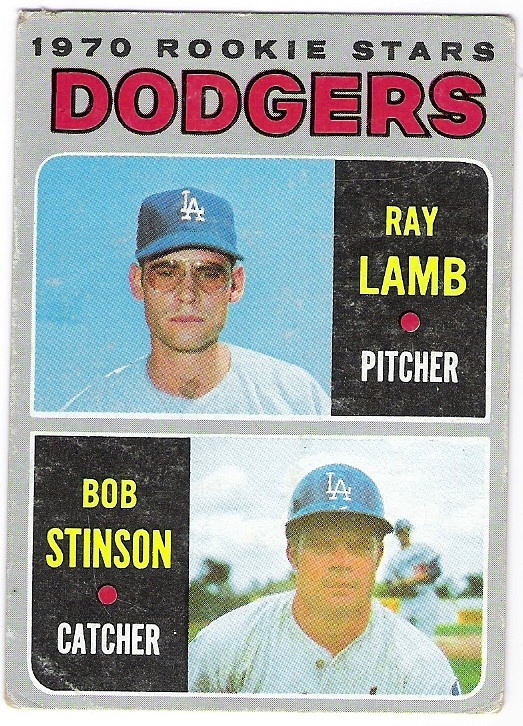 anyway, even with all that wistful gazing at that card, i have never really looked closely at the guy lurking over stinson's shoulder until now. could it be bill russell? 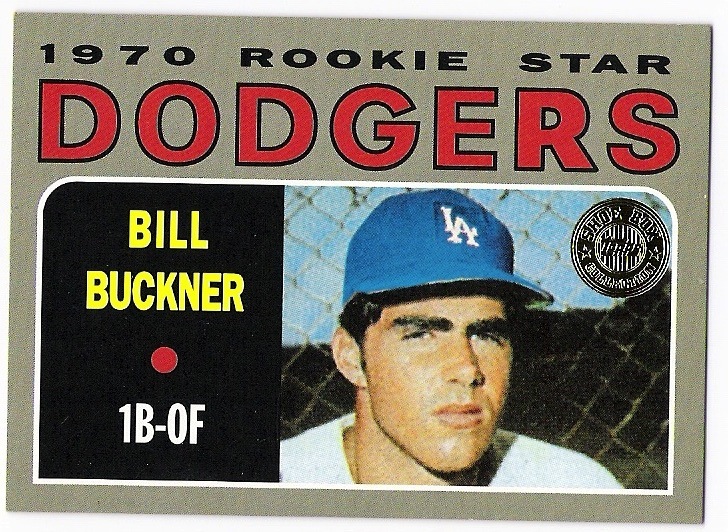 gone is buckner's card partner from the 1970 card, jack jenkins. jenkins was a curious case - he had appeared in the big leagues in 1962 and 1963 with the washington senators, but didn't surface again until he was with the dodgers in 1969. that year he appeared in...one game?!? 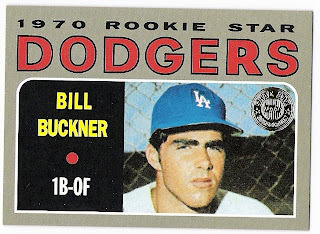 same with billy buck - one game in 1969 and he gets some card time from topps. 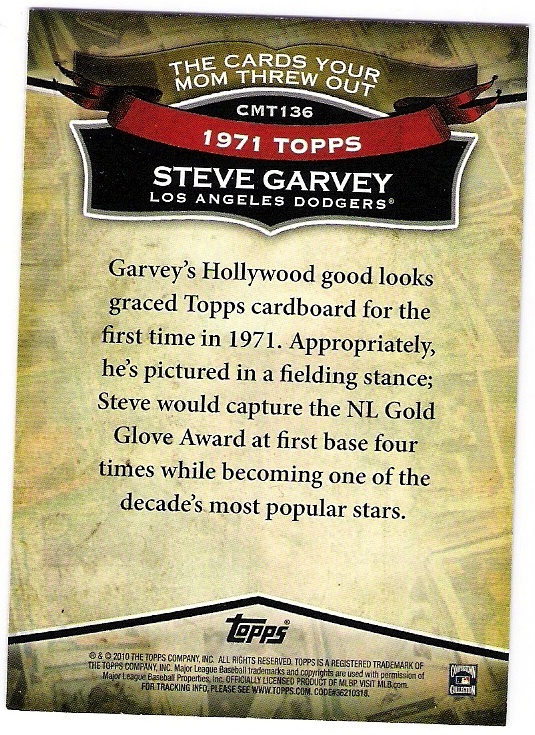 garvey was robbed, i tells ya! my mom knew better. 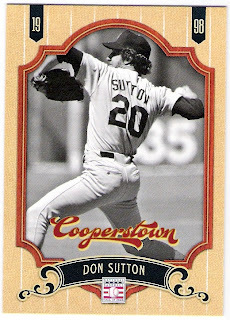 that's the back of the card, just because i figure we all know what his 1971 topps card looks like. 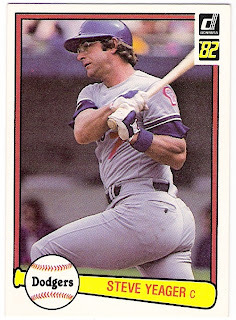 in which we are offered a good look at his thighs and buttocks, which is not too strange when you consider that this card came out around the time that yeager posed for playgirl magazine. this was one of the very first cards i ever sent out in a ttm attempt. it turned out to be successful, which was pretty awesome. 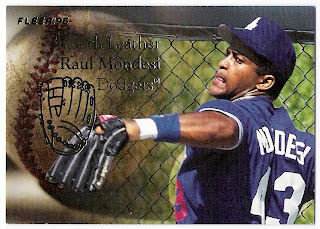 it celebrates mondesi's gold glove earned in 1995, when he led the league in outfield assists for the second year in a row. always nice to add a card of rauuuuuuul to the collection. thanks for the cards, oscar! at long last, terry forster through the mail success! just over a year ago, hall of fame sports had their big 'dodger days' autograph event. it featured a bunch of players from the 1981 world series championship team and i partook of the through the mail option for many of them. one player who was scheduled to appear that was at the top of my 'want' list was terry forster. 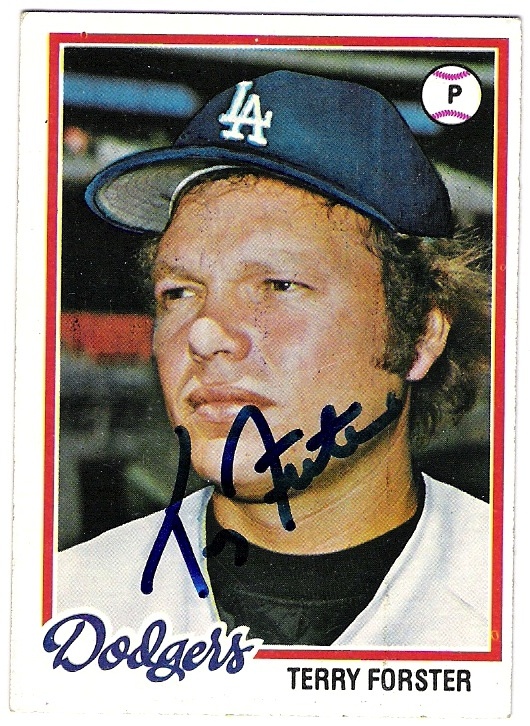 i had purchased a signed copy of forster's 1978 topps card as part of my modest 1978 topps dodger autograph project, but i really wanted one that was for sure signed by the lefty reliever. unfortunately, forster fell ill and was not able to attend the signing. i kept in touch with the guys at hall of fame sports, and they told me they were working on rescheduling - either with forster traveling to socal, or items being sent to him in quebec. 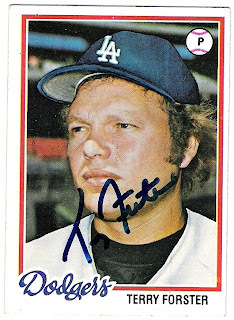 well, the signing finally took place earlier this month, and i am happy to say that i received a 1978 topps card signed by forster himself. i am so very happy about this. that leaves just ted martinez and vic davalillo as the only living members that i haven't been able to upgrade to a ttm success. 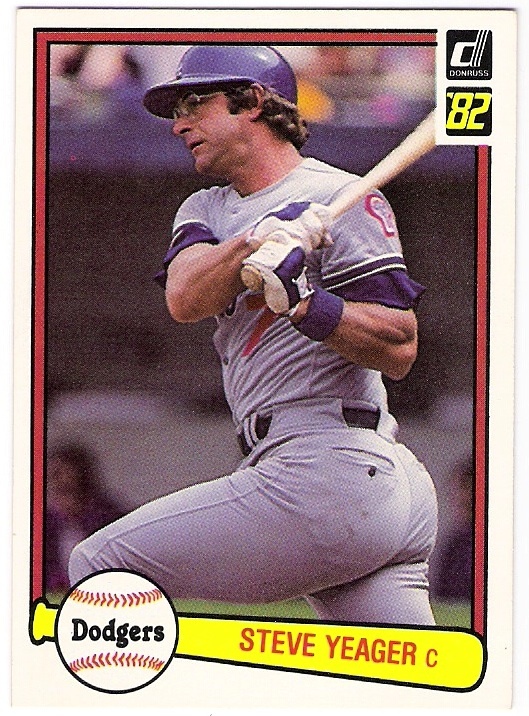 and then there is ed goodson, for whom i have no 1978 topps success of any kind. i'm still hoping, though. terry forster - ebay success! and through the mail success! lee lacy - through the mail success! and in person success! 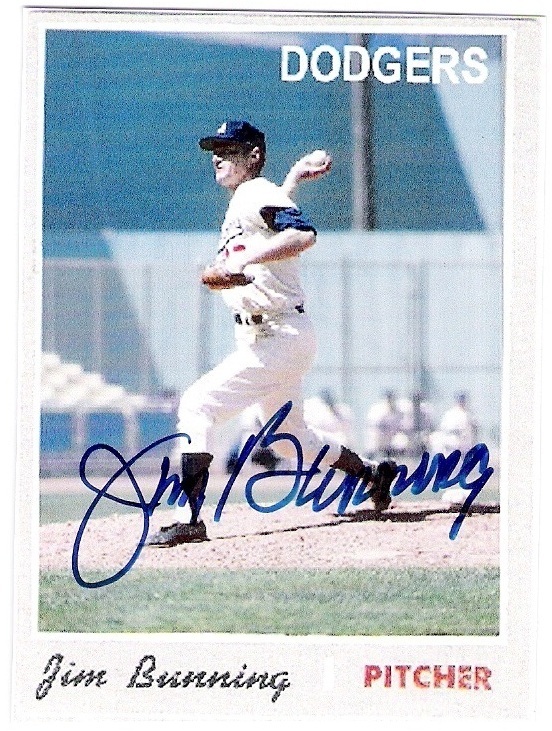 steve yeager - ebay success! and through the mail success! still waiting for mr. goodson. 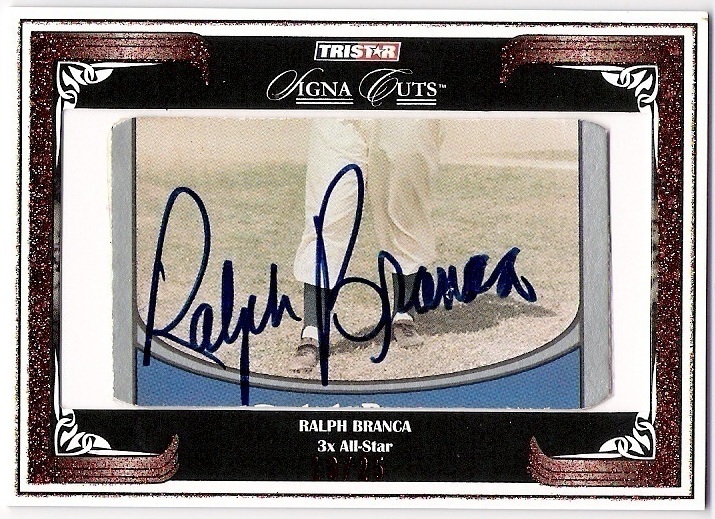 tristar lets me know that branca was a '3x all-star'. i'm here to tell you that he was also a '2x dodger'. that's right - this is a dodger double dipper post! 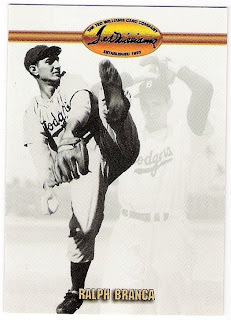 branca debuted for the dodgers as an 18-year old in 1944. three years later, he won 21 games and was the ace of the staff. 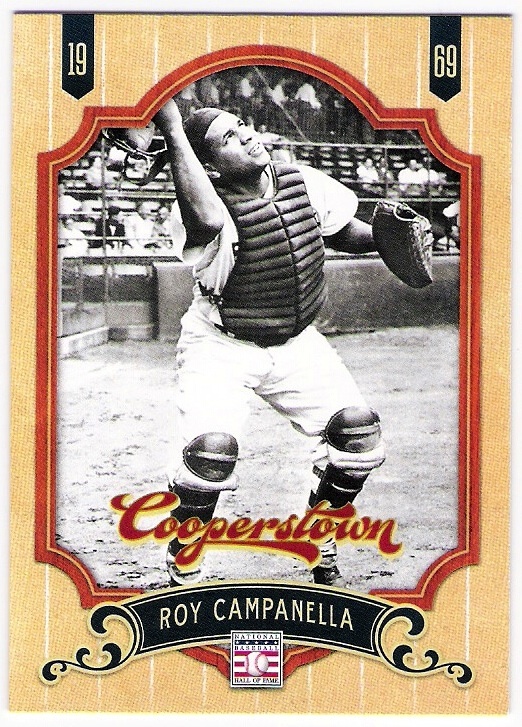 branca remained with the dodgers through the 1952 season, but was waived by the team after 7 appearances in 1953. he was claimed by the tigers, and pitched in detroit for about a year, spanning the latter part of the '53 season as well as the first half of the 1954 campaign. 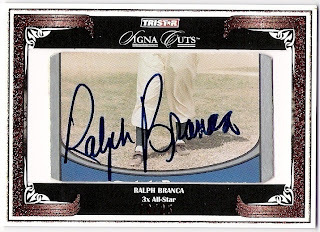 in july of '54, the tigers released branca, and he signed with the yankees a few days later. he made 5 appearances for the yankees, including 3 starts, and was 1-0 with a 2.84 era. unfortunately for branca, the yankees missed out on the pennant that year despite winning 103 games (cleveland won 111), and he was released shortly after the end of the season. branca was only 28 when the yankees released him, but he remained unsigned for the entire 1955 season and most of 1956. in fact, it wasn't until september 6th that the dodgers brought branca back to ebbets field for the last time. the next day, branca made his first and only appearance of the season, and the last of his career. he was brought in to relieve ed roebuck in a game which had the dodgers trailing the giants 6-1. branca pitched the eighth and ninth innings, allowing no runs and striking out two, including willie mays. not a bad way to go out. 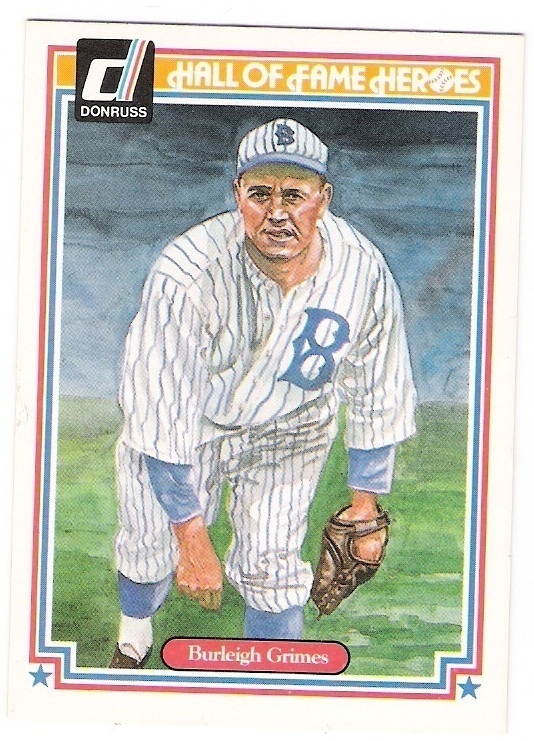 usually i will show a card or two from the players year(s) in between their stints as dodgers, but i don't think there are any branca cards showing him as a tiger or a yankee, except for the 1991 topps archives 1953 card that should have been thingy which i don't own. 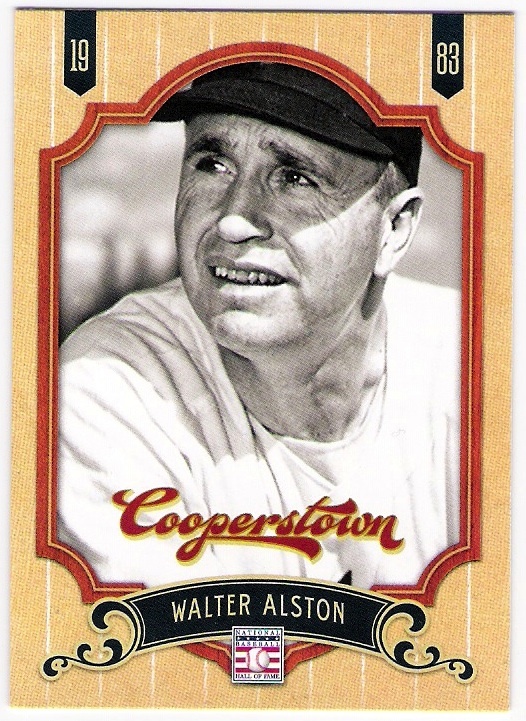 i do have a couple of his cards from his first stint as a dodger, but there is no 1957 card to cap his career. 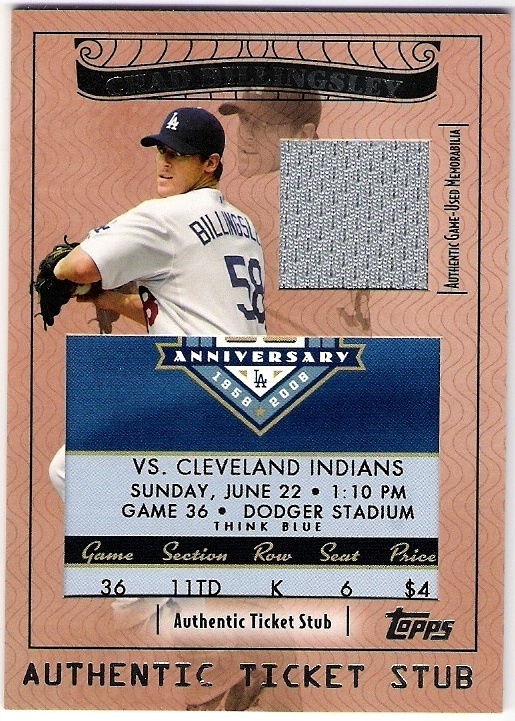 but the back only features 5 of branca's season statistics, all during his first run as a dodger. 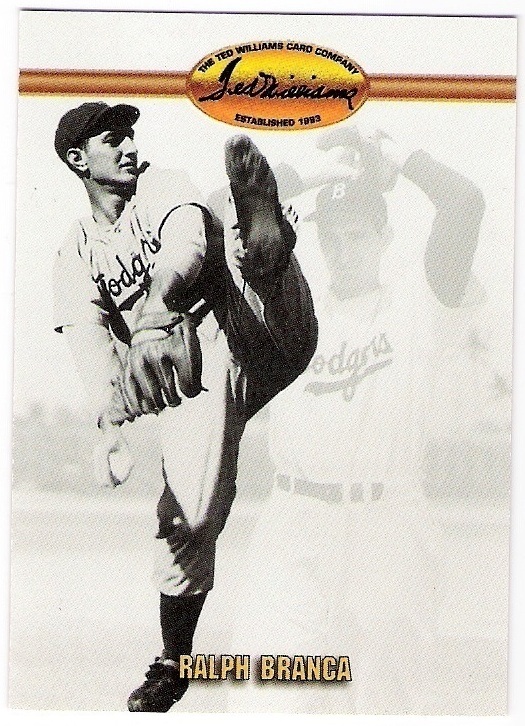 here's to you, ralph branca - another dodgers double dipper! i can't believe i made it through the entire post without mentioning bobby thomson. 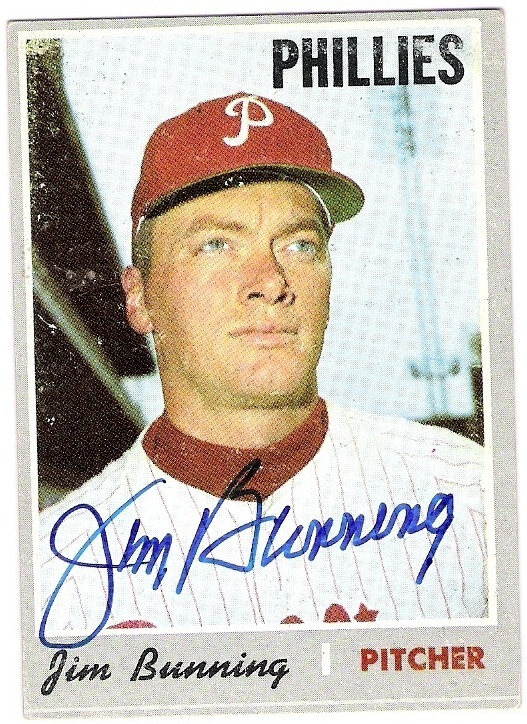 why did the dodgers release jim bunning at the end of the 1969 season? 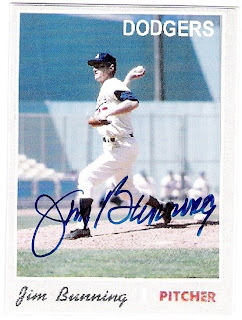 bunning was 3-1 as a dodger, but the team went 3-6 in the 9 starts he made for them at the end of the 1969 season. that doesn't look too good, i suppose, but bunning didn't pitch that poorly. 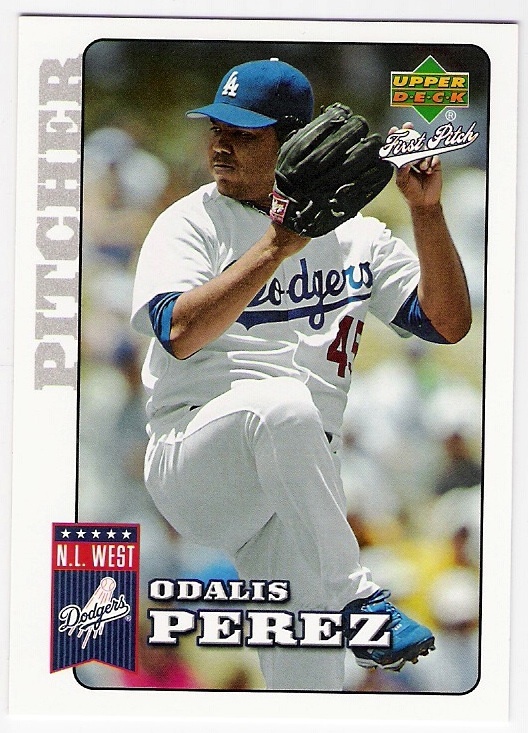 he had a couple of bad starts, but overall had a 3.36 era during his time in los angeles. he had been acquired in august 1969, shortly after don drysdale made his last appearance, and one would have thought that the dodgers still needed another veteran arm in the rotation to complement claude osteen and don sutton heading into 1970. instead, bunning was released by the team in october of 1969 and he re-signed with the phillies quickly thereafter. 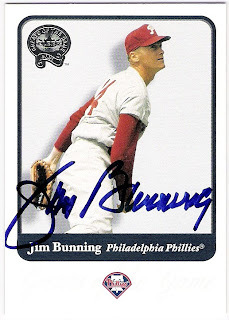 bunning went 10-15 in 1970, so even with him in the rotation, it would have been unlikely that the dodgers would have challenged the reds that year. it would have been nice, however, to have forced topps into issuing a card for bunning as a dodger. 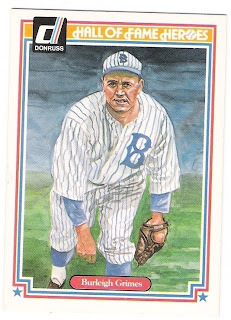 i think that many people don't realize that when bunning retired after the 1971 season, the only pitcher in history to have more strikeouts was walter johnson. and 33 of his 2855 k's came as a dodger. thanks for signing my cards senator! the dodgers returned to the postseason for the first time since 1988 in 1995, although they may have made it in 1994 if there hadn't been the strike. 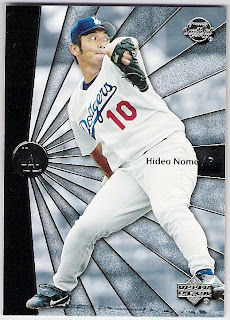 anyway, i'm moving on with the topps dodger autograph project posts, and this one starts with '95. 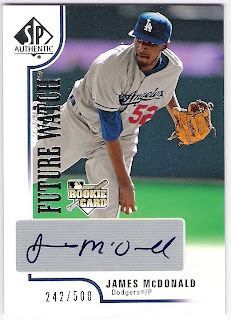 remember, the idea here is to have at least one topps card from each year signed free of charge through the mail. i fell short with the 1950's, but am on track since then. i don't count traded sets, but i will show them if i have them. here we go. 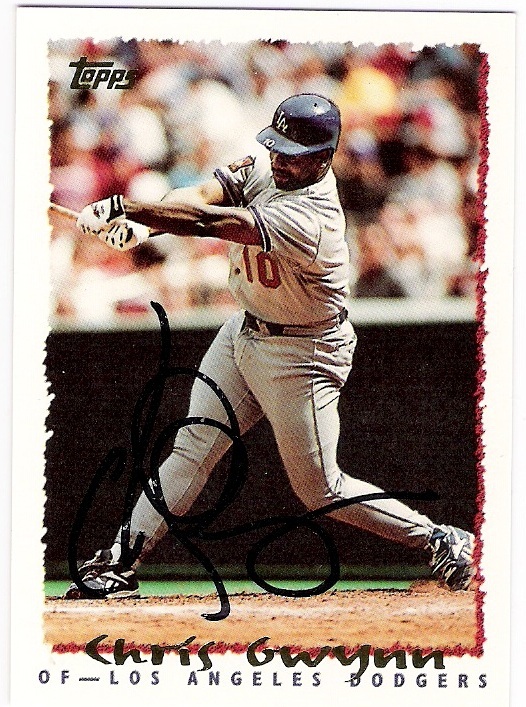 gwynn returned to the dodgers after a couple of years in kansas city. 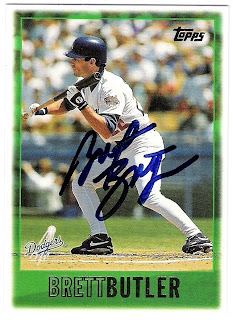 i've also had 1995 topps dodger ttm successes with brett butler, jim gott, kevin gross, dave hansen, and tim wallach. 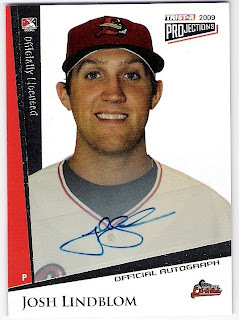 i don't have a 1995 topps traded card signed, unfortunately. roberto kelly, please send me back your card! the 1996 national league rookie of the year was kind enough to sign this card. no 'roy' inscription, but a cross instead. the only other 1996 topps dodger ttm success i have had is with brett butler. there wasn't a traded set issued in 1996 - the first time since 1980.
what a surprise! 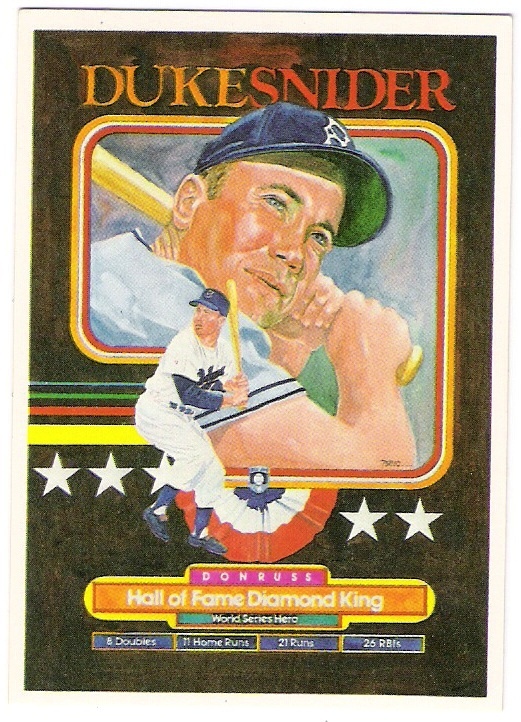 a card featuring a photo of butler bunting. you'll notice a theme here as the team sets were smaller following the strike of 1994, so there aren't a lot of options for having cards signed. 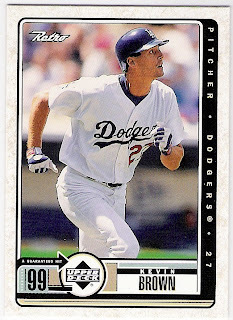 the only other 1997 topps dodger ttm success i have had was with greg gagne. i also have a card signed by karim garcia that i picked up at a card show. 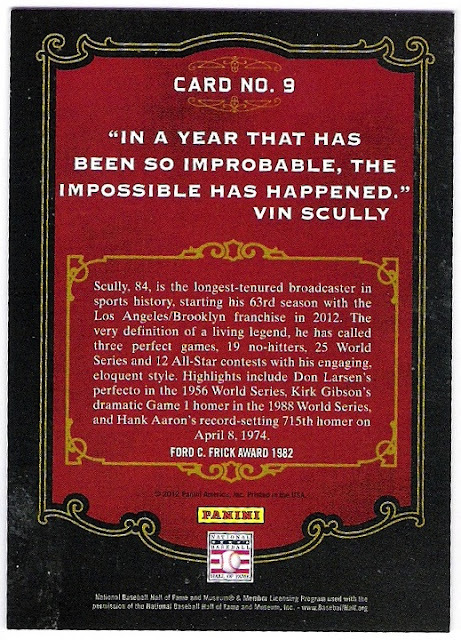 there was no traded set in 1997, either. gagne is a good signer. the only other 1998 topps dodger ttm success i have had came courtesy of todd hollandsworth. once again, topps did not issue a traded set, so no dodgers to chase there. el viz turns two. 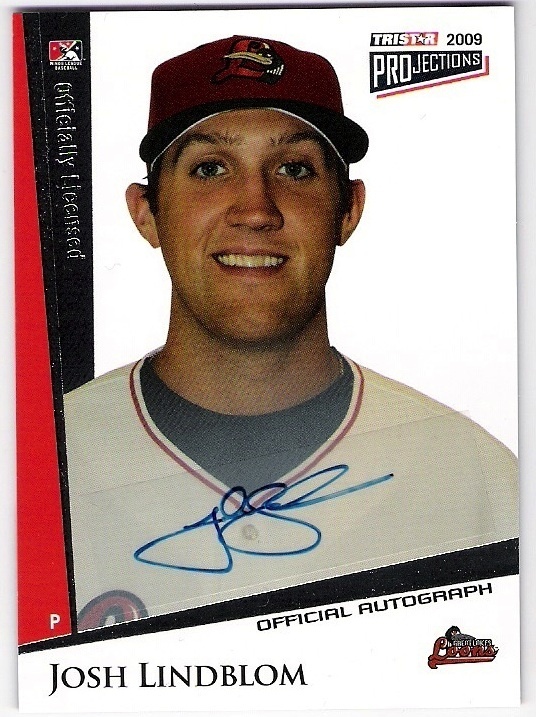 the only other 1999 topps ttm success i have had came from closer jeff shaw. 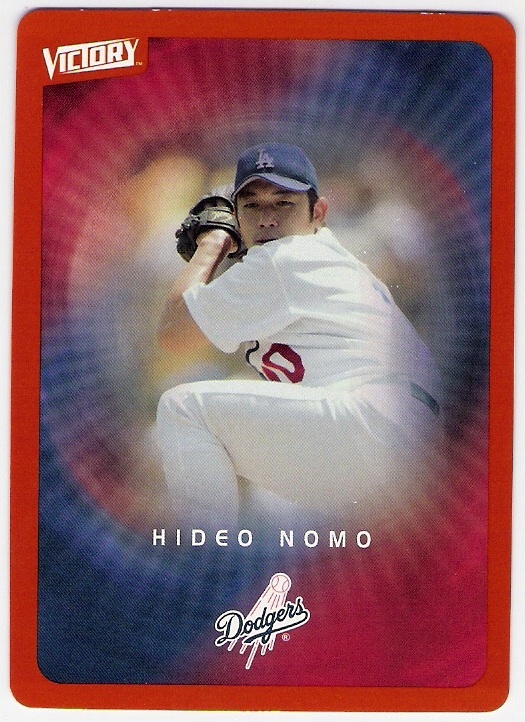 there was a traded set in 1999, but i don't have any of the cards signed. the dodgers in the set, in case you were wondering, are steve colyer, bubba crosby, and luke prokopec. shaw for konerko. he pitched well, but konerko could have provided some stability at first base after eric karros was traded. 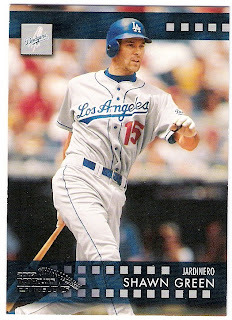 the only other 2000 topps dodger ttm success i have had was from jose vizcaino. slim pickings for me in the traded set, too. the only dodgers featured are marcus castillo, tony mota, and ismael valdes - none of which i have even attempted to have signed through the mail. 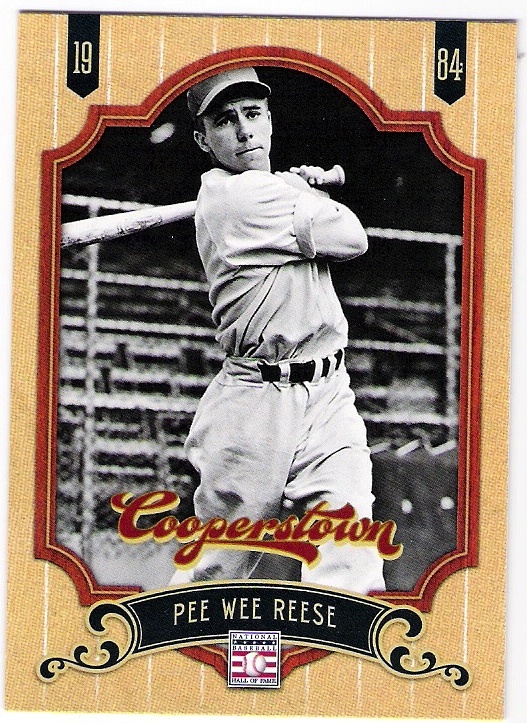 i got this card returned to me when park was pitching for the yankees. i've also had 2001 topps dodger ttm successes with andy ashby, davey johnson, chad kreuter, jeff shaw, kevin elster, and dave hansen. 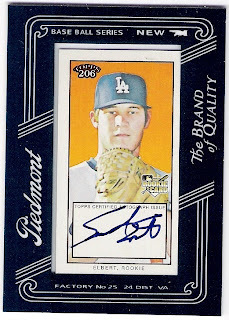 there were a few dodgers featured in the traded set, but i don't have any of them signed. what's this guy doing here? 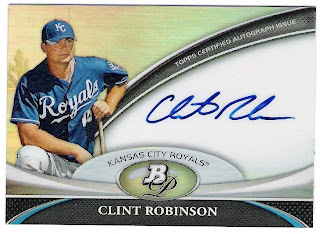 clint robinson happens to be a member of the kansas city royals' organization. he debuted this past season and was dfa'd just a few days ago. bummer. i get elbert and eric stults mixed up all the time. 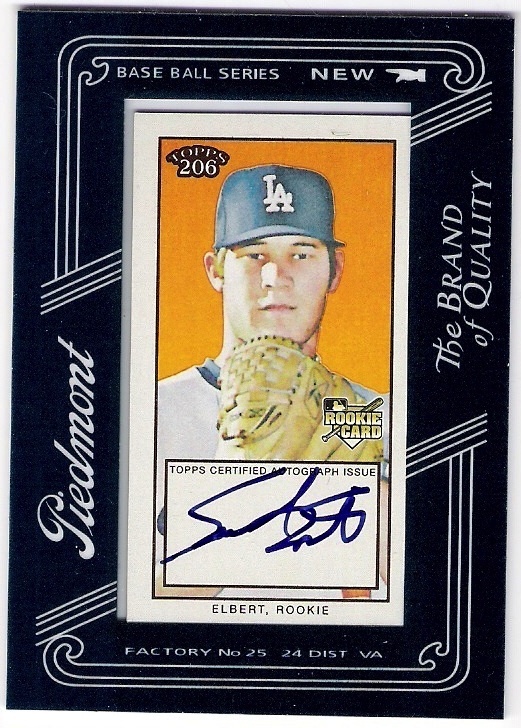 elbert is still with the dodgers while stults is down in san diego. topps makes this too easy. on june 22, 2008, chad billingsley got the win against the indians. 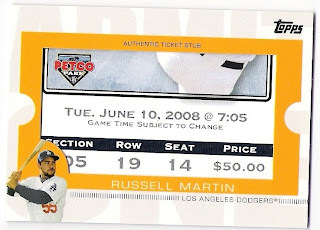 i was totally not expecting that - kudos to topps for matching up the ticket stub with the appropriate player. 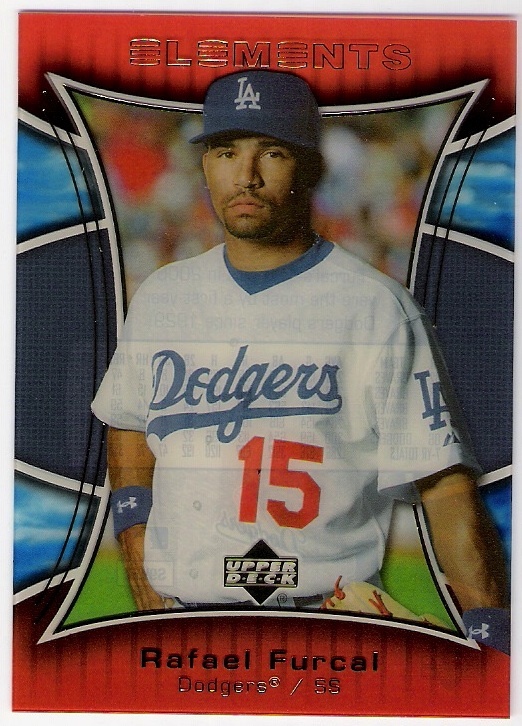 as an aside, the dodgers' starting second baseman that day was someone named luis maza. 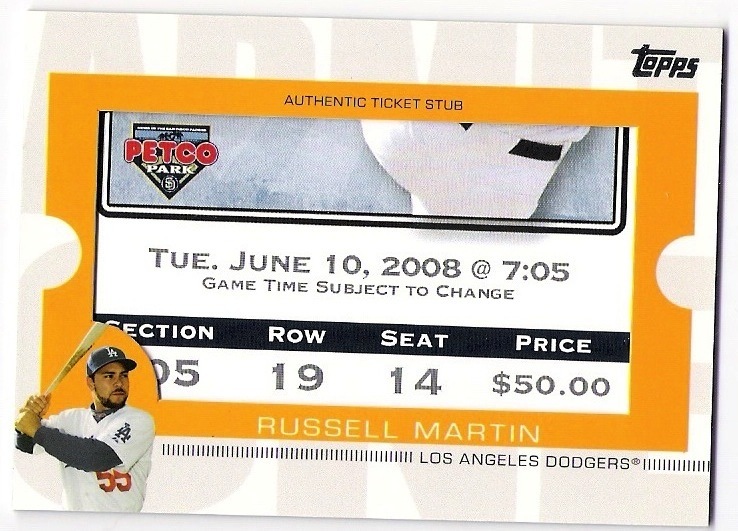 on june 10, 2008, russell martin was 3 for 5 with 3 rbi as the dodgers beat the padres 7-2. not sure who's rear that is on the padres' ticket stub, but greg maddux started the game for the pads. the leg kick looks too high to be maddux. the dodgers' starter that evening was clayton kershaw, who was making his 4th career start. neither pitcher figured in the decision. tristar did not project that lindblom would be traded to the phillies for a shane victorino rental. hindsight is 20/20, but this was another bad trade by ned. he sent mcdonald and andrew lambo to the pirates in 2010 for octavio dotel. 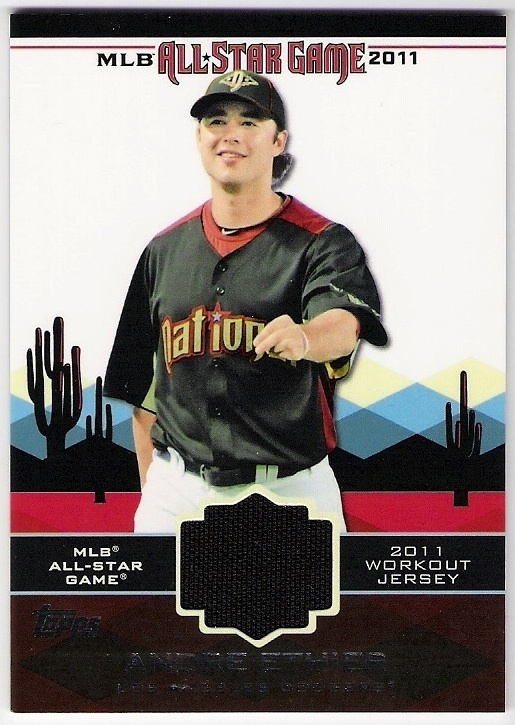 a month and a half later, ned flipped dotel to the rockies for a non-prospect minor league outfielder. songco might make the jump to aa this year. i hope he is able to bounce back from his leg injury that limited his production last year. it's from one of those workout jerseys that only exist to populate relic cards that wind up going for cheap in a team lot. like this one. this was the first time i had seen these cards, so already i am ahead as far as adding new cards to my collection goes. then, there was this card from 2002 upper deck 40 man - a shawn green numbered relic. 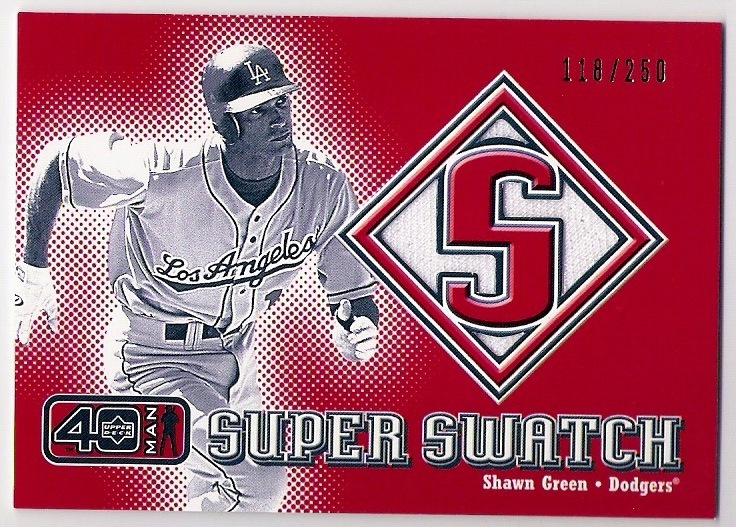 it might be nicer if the card were blue instead of red, but it's a new green relic for me which is pretty surprising given the fact that i used to buy shawn green relics like they were going out of style. 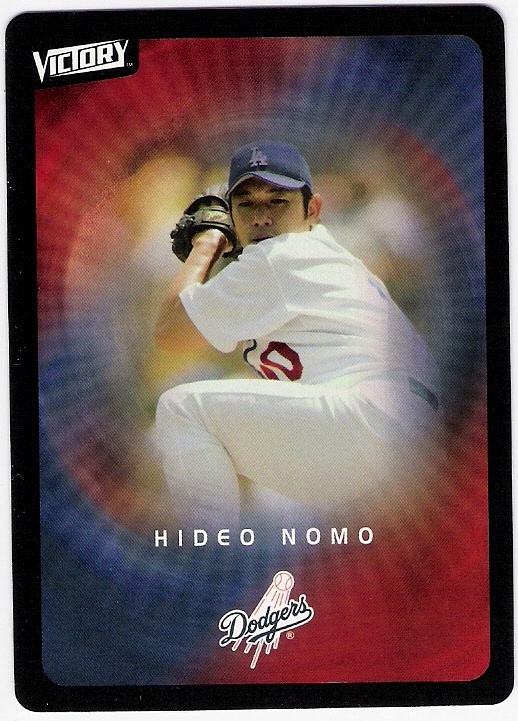 which they weren't as there were seemingly three or four different jersey cards for him in every set issued in the early 2000's. almost as nice as 40man was 2003 upper deck victory. it was cheap and featured a good number of dodgers. here's adrian beltre. looks like he's channeling gary coleman. i wonder how long it has been since i featured a card of odalis perez. look at his 2006 upper deck first pitch card while i find out. it's only been five months. i would have guessed it had been longer. 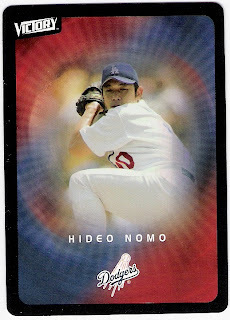 here's a cool card from 2007 upper deck elements. 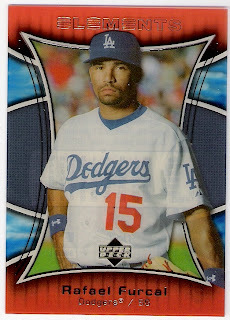 it's a rafael furcal card from the petg themed subset. that's polyethylene terephtalate glycol for all you people wondering. the card is plastic. he's running to catch his contractually provided private jet that has already started to take off without him. 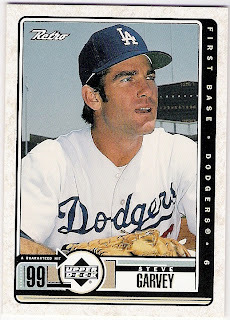 next up, it's steve garvey himself. that's the power of a set like 2004 upper deck legends. len matuszek through the mail successes! pelts of elk and bison and manny, oh my! them's the breaks. and the earflaps. gary thomasson through the mail success! carl erskine through the mail success! again!